Teachers requesting materials: Thank you in advance for reaching out. If you are a teacher and request free classroom materials, please note that we mail these out quarterly and do not mail any packages prior to the school ending (our last mailing is in April and we pick back up in September). You must be a classroom teacher in a public school within the United States. Our maximum package size is to provide resources for 35 students. If you need more resources, we do offer these materials in a do-it-yourself printable format so you can print them at your school. We also provide the downloadable print files that a professional printer would require if you’d like to print large batches for your school at cost. For more information, please visit the Free Career Exploration Booklets page. YourFreeCareerTest Scholarships: We also have three scholarships available to apply for. Visit our scholarship page for more information. Advertisers: We receive inquiries from many advertisers. If you explored the site, you will not see advertising that is not educational in nature. Many schools use this site and it is kept student friendly. Therefore, we do not allow popup advertising, ‘flashy’ advertising that is distracting to content, or advertising that is not related to education. If you still feel your opportunity would be a match, feel free to contact us. We also receive many advertising inquiries that are not specific. In your communication, please state the company or educational institution looking to advertise and page that YourFreeCareerTest.com is linking to. We only reply to inquires that include this information. Guest Posts: We do accept guest posts but not many. Please read the guest post page thoroughly before contacting us. This helps set expectations and ensures your time is not wasted as well. 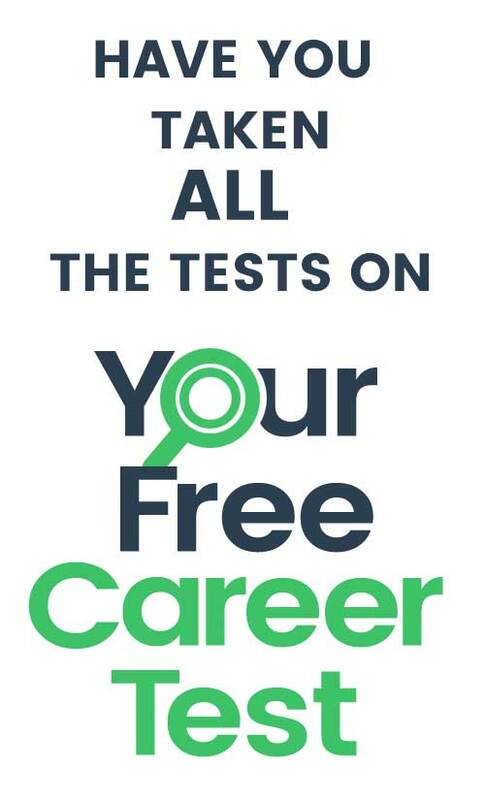 Learn more about YourFreeCareerTest by visiting our About Page.